Get your ducks in a row with this fun carnival arcade game! 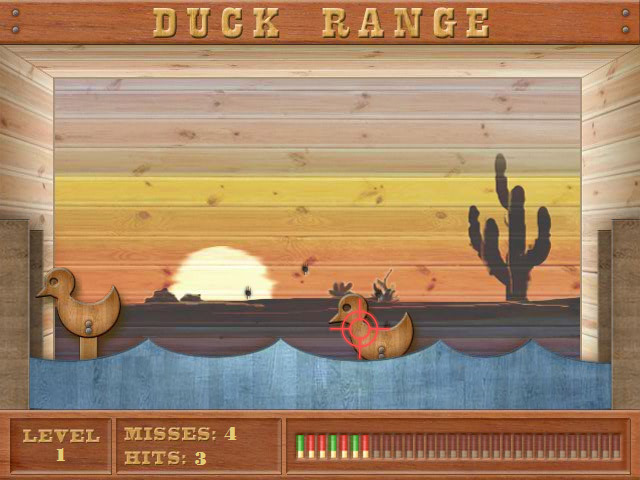 Pop ducks in a gallery; drop 15 or more to advance to the next level.The carnival goes digital!Get your ducks in a row with this fun carnival arcade game! 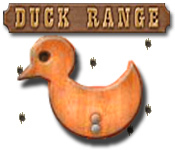 Pop ducks in a gallery; drop 15 or more to advance to the next level. Control your rifle with the arrows keys, but be careful, you've got a weighted barrel and shaky hands. Patience is the key on the Duck Range.